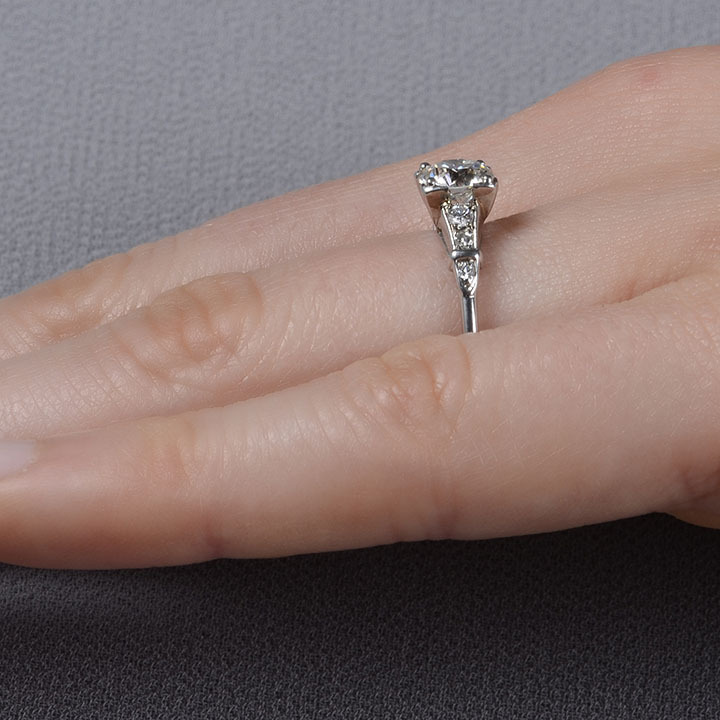 Vintage .90 Carat VS center diamond 18KW engagement ring, circa 1950. 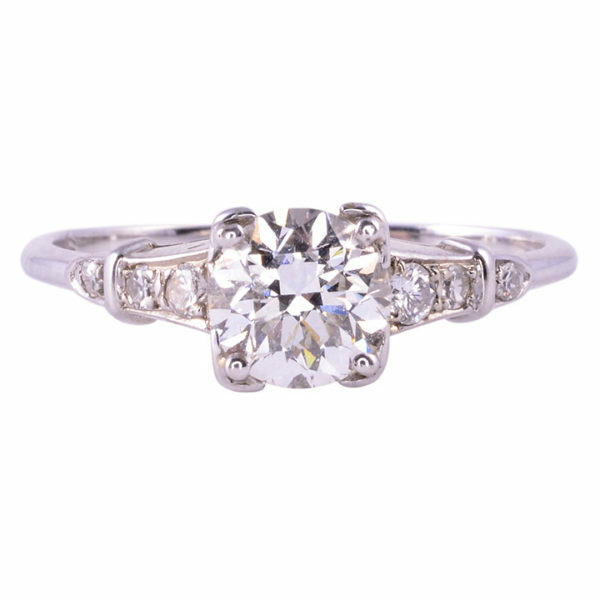 This 18 karat white gold engagement ring features a .90 carat center diamond having VS clarity and I-J color, accented with six side diamonds at .10 carat total weight having SI clarity and H-I color. 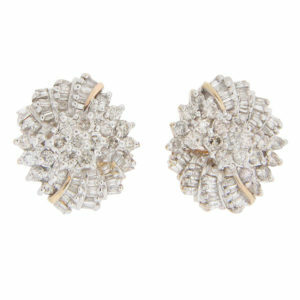 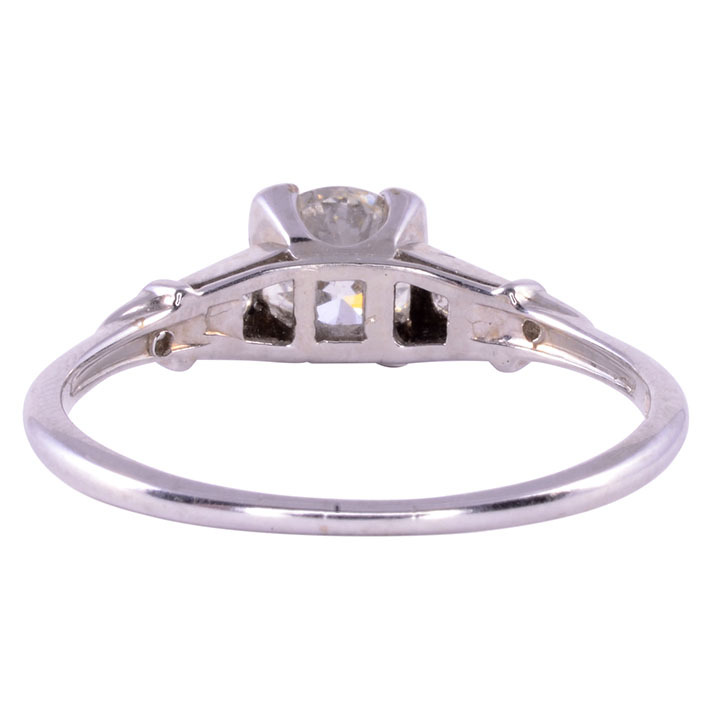 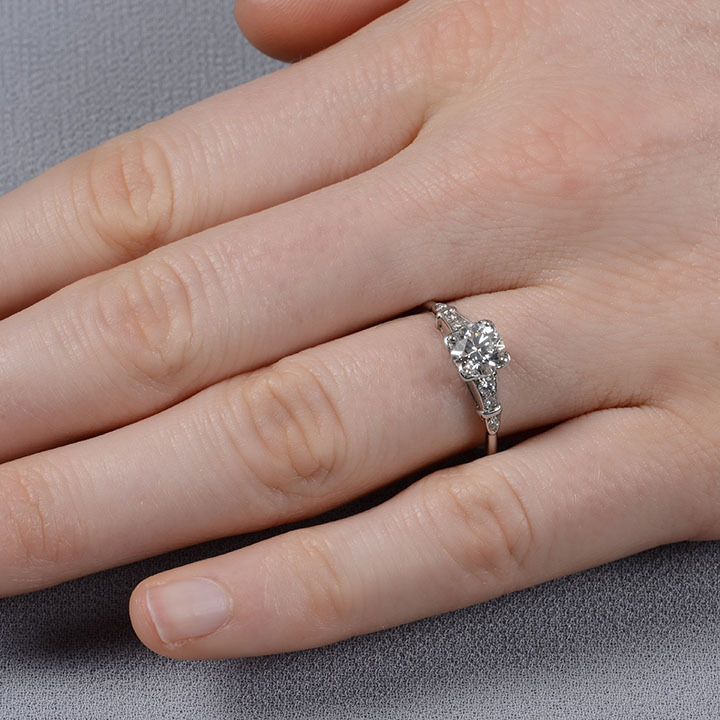 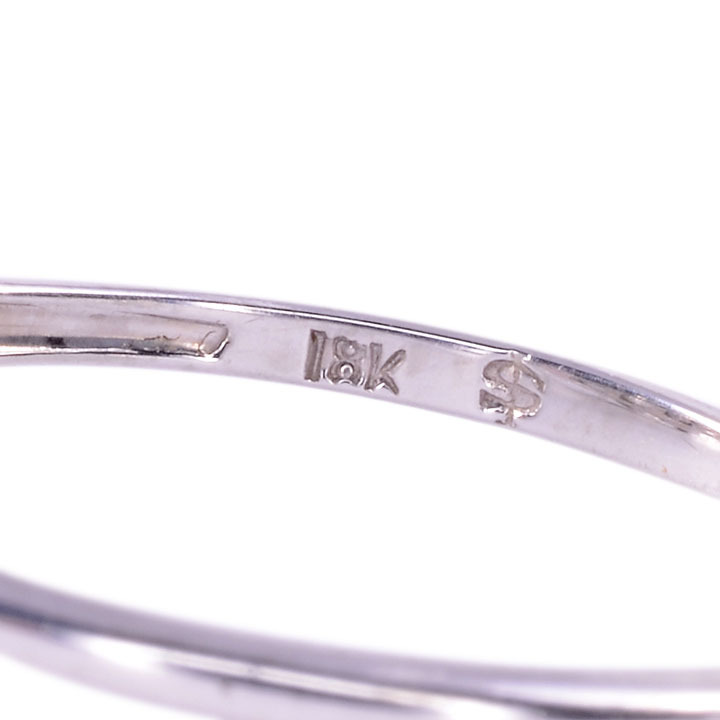 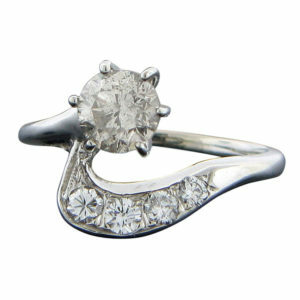 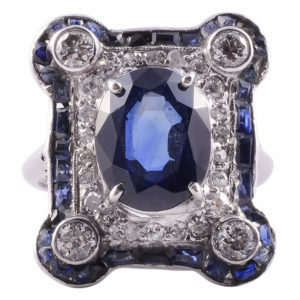 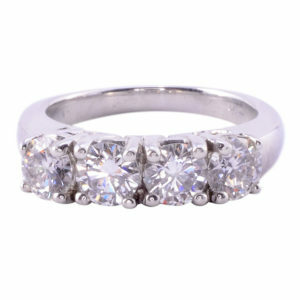 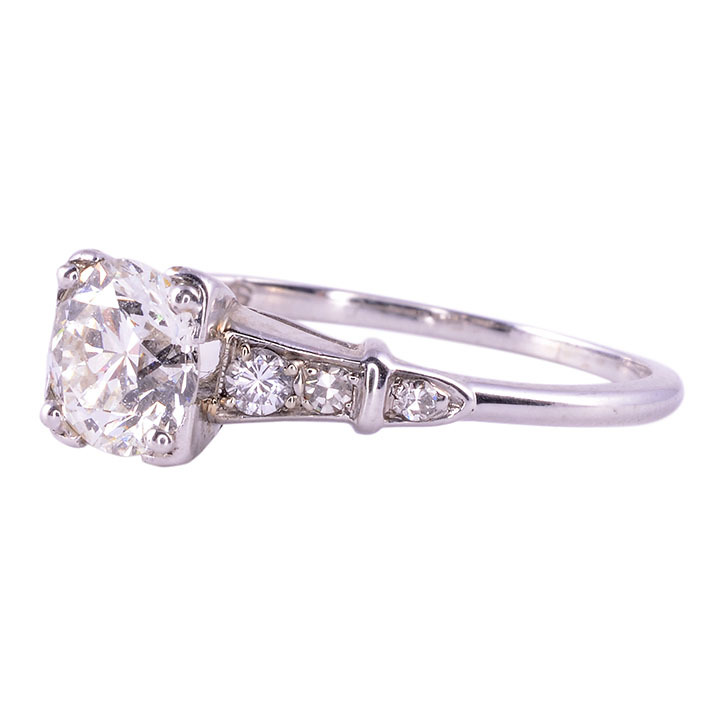 This vintage engagement ring is appraised at $8550 and is a size 9.